Expansion Joints can prevent concrete from its natural tendency to expand and shrink with changes in temperature, moisture, and humidity. While increasing the durability of concrete, expansion joints also separate or isolate the concrete from other slabs and structures. 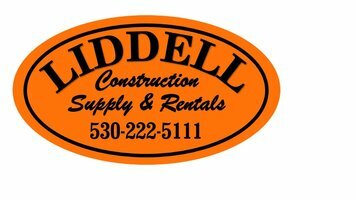 At Liddell Construction Supply & Rentals, you’ll find the right size expansion joints for your concrete project. We carry the best selling expansion joints in the industry that are made to increase concrete resilience and prevent damage from expansion and contraction while standing up to weather conditions and sun. Expansion joints are usually applied between concrete slabs and two separate concrete slabs from structures. While being stiff enough to use on straight joints, expansion joints are also flexible enough to shape to curves or circular surfaces. While offering watertight joints, it prevents moisture from seeping in between and under the concrete causing it to heave or sink. Formulated with a small closed cell structure you expect a highly flexible and resilient material. On the job, expansion joints are easy to handle and cut with no breakage or waste of the application. You don’t have to worry about any staining or bleeding into the concrete and can complete your job easily. Wondering if we have the right Expansion Joints for your project?